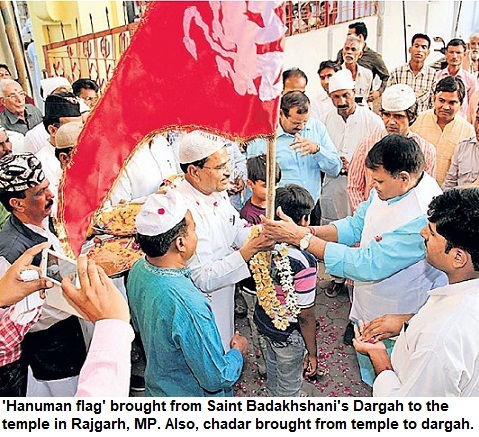 Indscribe's Blog: News and Views about Indian Muslims: After Ahmedabad blasts: What India needs to do? After Ahmedabad blasts: What India needs to do? It's clear now that India is one of the worst victims of terrorism. Two major cities have been targeted in consecutive days--I don't remember this happening in any other country ever except Iraq or Afghanistan. When 17 explosions occur in 70 minutes, it is clear that Indian government, intelligence agencies, the State government of Gujarat and the local police and intelligence have all proved to be a colossal failure. It's childish to blame any party or either the centre or state. Everybody has failed. Even a layman can think how much of groundwork would have been done by the terrorists in engineering so many blasts in just a day. Huge money and manpower must have been used. The police were simply caught napping, even when a day ago Bangalore had been hit by similar serial blasts. Would these real culprits be caught! Have they ever been! Do you believe that such a big network would be busted? Equally foolish is the assertion that POTA would have stopped it. When we don't catch the real culprits, what's the use of any law. After the blasts, its usual to see mass roudings-up in which dozens of poor people of slums are caught, forced to make confessional statements and some are brought to books. Do we remember when was the last time the real culprits were caught. Have we ever felt that this particular case has been solved and justice has been done. From Hyderabad to Mumbai Train Bombings or anyother such terror attack in India, the story is similar after every blast. Jingoists get into anger and claim we are a Soft state. So what a hard state is? What we need to do? The truth is that we are not a soft state, we are an INEFFICIENT STATE with one of the most inefficient police force and intelligence agencies. The need of the hour is a drastic overhaul of Indian police system, as the harsh truth is that Indian policeman is perfect in everything except investigation. People who say India is a soft state don't understand a bit about society and security. They are the ones who would love to get a passport made through bribe to a policeman or any similar law-breaking activity that damages the system. We have one of the most inefficient police forces in the world. Right from the beat constable, (BTW do you know who is your beat cop and have you ever met him or has he ever said a Hi to you) who is all the time busy in getting 'hafta' from vendors, extort money from bootleggers, satorias, thieves etc, to the top officers whose aim is always a good posting and keeping the politicians in good humour. And they are even lacking in skills to do the most basic 'Scene of crime investigation'. Yes they know which person can be detained for a week and who can be let off on just a phone call from a minister's house. The Indian cop is busy in security of political masters, the VIP visits and tackling dharnas and demonstrations. He is never made to learn investigation, leave alone the kind of training and bent of mind required from the policeman in a country that is now fighting terrorism. The cop is just a babu, dressed in khaki, who is interested in making money, as he is the worst paid government employee who hardly gets a day's off. (The cops don't get weekly offs, like most of us do). 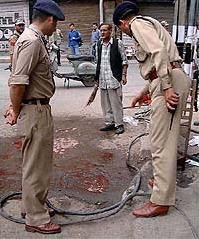 The crimes in India are solved by default or due to major slips of criminals, not because of cops' intelligence or tact. Despite media glare, a high-profile case like Arushi murder case was botched up. Do we seriously expect this police force to track the terrorists! BJP claims that POTA can deter terrorism. Really! Why don't the BJP ruled governments implement the Police Reforms despite Supreme Court's direction, so that the cops don't have to handle the issue of VIP security and can focus on investigations. We all know what kind of police force we have in our country. Politicians have done their best to damage it. They use cops to take care of their works, legal or illegal, and love to have them around, to flaunt their status (just like landlords). Whatever. The situation is critical. India needs a really drastic overhaul of our policing system. But it won't happen. Politicians don't want police to be independent (and efficient). Neither the Congress, nor the BJP. Transfers have to be done by politicians. A couple of days later, everybody will forget and things will unfortunately be the same. Alas!